We’ve been getting a lot of acorn squash in our farm box. I used to love plain mashed acorn squash, but now prefer it in baked goods for its sweet and delicate flavor. I roasted the acorn squash at 400°F in my halogen oven and scooped out the insides to use as puree in baking, and ended up with about 4 cups from two squashes. 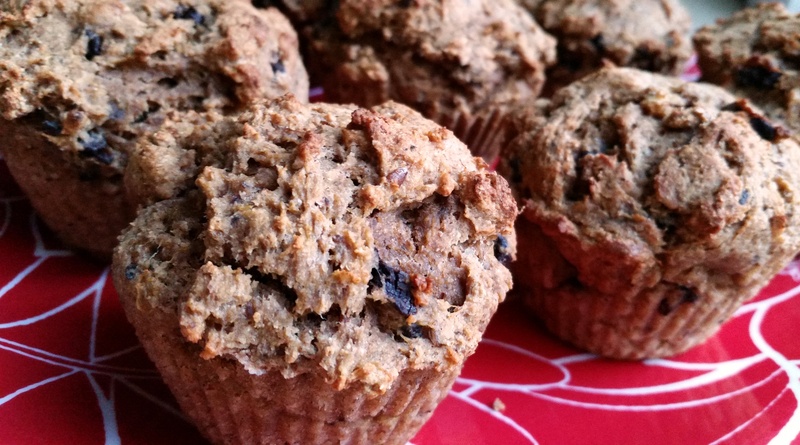 This recipe is a variation on the pumpkin muffin recipe I posted in January. 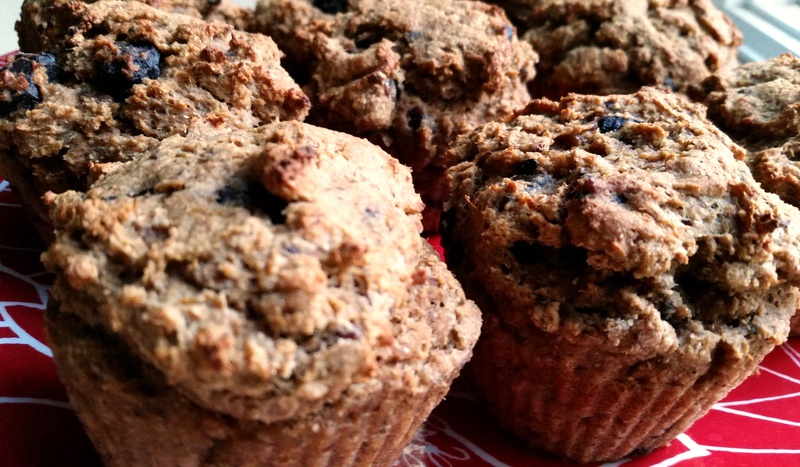 It makes a thick, dense batter that produces a muffin more on the bready than cakey side. I love it with coffee. Split acorn squash in half and place open-side down on baking sheet. Bake at 400°F for 30 minutes. Alternatively, steam squash halves until soft. Scoop out insides and use 1½ for recipe. Mix wet ingredients (1½ cup mashed acorn squash, applesauce, oil, and flax) together. Mix together flour, sweetener, baking soda, baking powder, and spices. Mix in an optional ½ teaspoon salt, then gradually stir in the wet ingredients. Batter should be somewhat lumpy. Bake at 400°F for 20 minutes, or until tops are firm and inserted toothpick comes out clean. I've missed your muffin posts Kathryn - this one looks just as good as always! Thanks! I had so many deadlines the past two months, plus had a kitchen full of apples for much of that time. The circumstances didn't allow for a lot of baking. Hopefully I'll be back in the swing of things now. Glad to hear Kathryn - I'll keep an eye out. ?